These high quality Latex Band Bands that are available in three popular sizes. 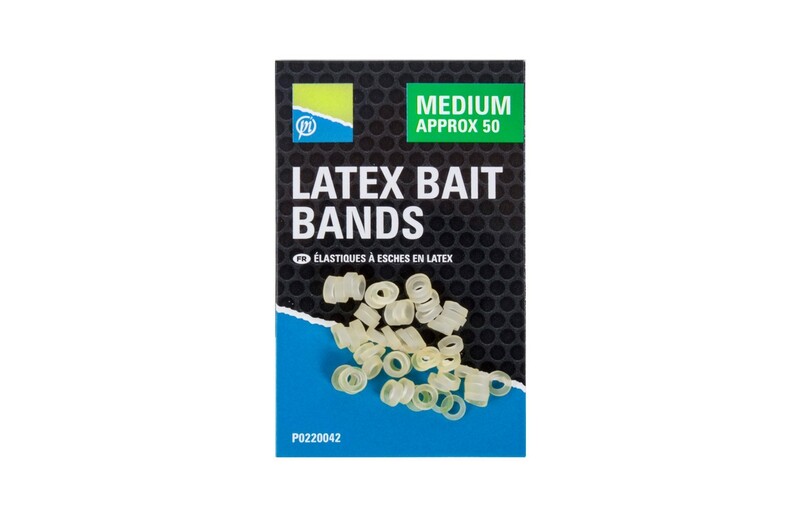 These super strong Latex bands can be used for a multitude of different hookbaits, such as pellets, Band'ums, casters, maggots, etc. The durable latex material offers the perfect amount of stretch and reduces the chance of band breakages. FREE Delivery on all Preston Float / Feeder Terminal Tackle over £100!! !